Object now! 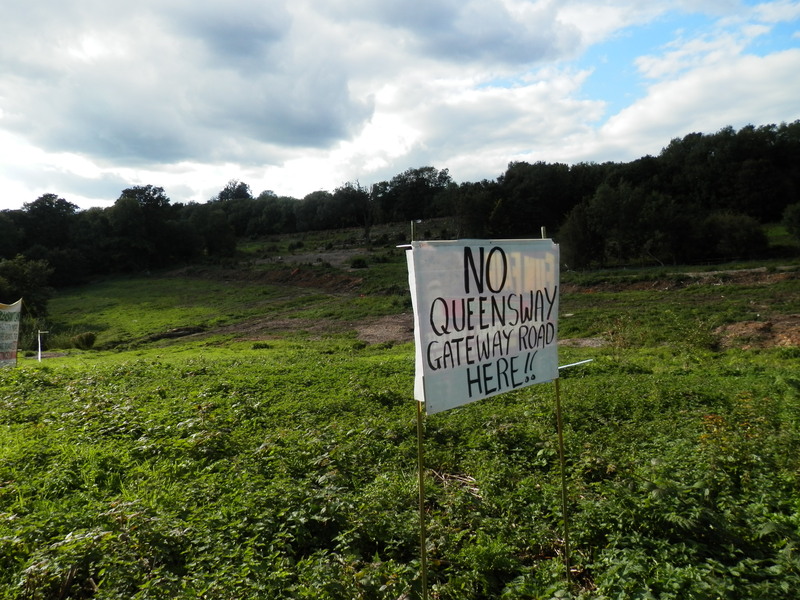 Hollington Valley is still under threat from the Queensway Gateway road. It doesn’t matter if you objected the first time the application went in: you are allowed to object again. Please do it, now! See below for how to do it. Hastings Council was ordered to quash the original planning permission after a legal challenge by a local resident which showed that the road, if built, would cause unlawful levels of air pollution. However, this is being presented as a small temporary difficulty, and we are concerned that when the application is reconsidered by the planning committee (which could be as soon as Tuesday October 21), it will be rubberstamped once again. Click here to go to the planning pages of the HBC website and submit your objection. Note that we have experienced a lot of problems with the HBC website, and you may get a ‘document unavailable’ message. If you do, search for the planning application by reference number (HS/FA/14/00832) and click on ‘make a public comment’. We’ve drafted an objection you can use, or write your own, or add to this one: what matters is that you object, now! Council policy DM6 states that ‘Planning permission will only be granted for the development provided… the level of airborne pollutants caused by the proposed development does not exceed statutory guidelines, unless appropriate mitigation measures are agreed. SeaChange’s figures showed clearly that, if built, air pollution from the Queensway Gateway road would exceed statutory limits. SeaChange failed to offer any mitigation strategy. In addition, the most recent report from environmental consultants Accon states that: ‘It should be noted that the implementation of [mitigation measures] would not guarantee that the Limit Values were not exceeded’. Hastings Council is obliged not to take steps which would result in breaches of air pollution legislation, therefore the only possible option is to refuse this planning application. This would help to avoid the harmful effects of air pollution and prevent air pollution levels exceeding prescribed limits which are dangerous for health and can result in premature death.